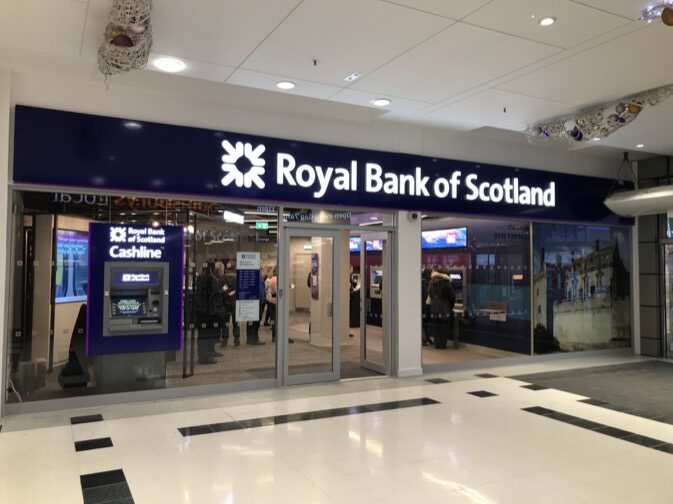 Thistles Shopping Centre, Stirling has welcomed the opening of a new branch of Royal Bank of Scotland in the centre. Located across two units at the Murray Place entrance, the branch offers a space where customers can bank traditionally as well as learn how to use the bank’s award-winning digital and telephony platforms with the support of full trained staff. Free Wi-Fi is available for customers as well as access to iPads so customers can register and access online banking services. The new branch also includes withdrawal and deposit ATM services. “Thistles, Stirling is delighted to welcome Royal Bank of Scotland in what is another positive retail development for the centre. “We are delighted to open our new bank here at Thistles, Stirling. “This branch has been designed with the future of banking in mind. With an increasing number of our customers choosing to bank with us using their mobile phones or online, we recognise the need to provide a branch that is both digitally focussed and supports customers with their financial needs.